The hunger strike that was carried out by members of the Russian opposition in Astrakhan has been declared a success. Oleg Shein, a former candidate for mayor of Astrakhan, ended his protest against the results of the mayoral elections, saying he had achieved the aims he had in mind, and would continue his efforts in court. This put an end to the two-month-long saga that saw mass rallies, a new wave of opposition activity, and more arrests of opposition leaders in the southern Russian town. During Shein’s hunger strike, almost all the significant figures of the Russian protest movement visited Astrakhan. Shein and Churov, along with Just Russia leader Sergei Mironov, spent a whole night watching the video, with the exception of a few hours Shein had to miss because of a medical emergency. After this “night of three,” the Central Election Commission chairman had to admit that irregularities had been spotted at 130 out of 200 polling stations. He emphasized, however, that no actual vote rigging had been observed, and all the irregularities had been “purely procedural” in nature. Still, this announcement satisfied Shein, who is now going to press the matter further in court. There has been no talk, however, of reviewing vote results or dismissing any Astrakhan officials. Meanwhile, the Astrakhan hunger strike evoked a response all over the country. Participants of the movement “For Fair Elections,” which was the major organizer of this winter’s rallies saw it as a continuation of struggle for democratic ideals. Apart from the March 4-5 protest rallies, the Astrakhan hunger strike was the only significant action to take place after the presidential vote. Many leaders of the protest movement went to Astrakhan to support the strikers, including Alexei Navalny, Ilya Yashin and Ksenia Sobchak. Seated on inflatable mattresses in front of the city administration building, the activists had numerous clashes with the police who tried to oust them from the lawn. In early April, some 3,000 people came to a public rally in Astrakhan, according to its organizers. There were also protests against Shein and his team. 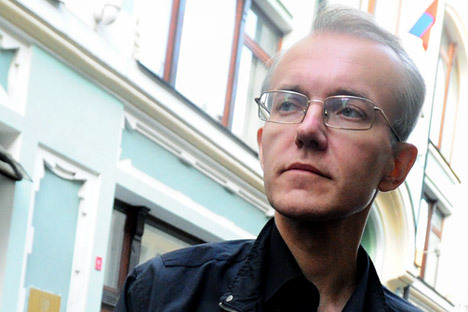 The pro-Kremlin Nashi movement went on a hunger strike “against a fraudulent hunger strike.” According to the movement’s leaders - and many doctors agree with this assertion - Shein did not really go hungry. If anything, it was only a partial hunger strike. They insist, first and foremost, that no person can physically manage to go without food for more than a month without seriously endangering his or her life. This is not the first time that Shein and his supporters have disagreed publicly with mayoral election results. In 2009, they also called for a revote. Back then, according to Shein, “combat brigades would force their way onto election commission premises” in an attempt to tamper with the results. The organizers of those Astrakhan protests hoped to attract the president’s attention to the irregularities, but the government paid little attention to the rallies, and the movement gradually died out.